This ski bonnet is a stash-busting project using up my remaining Ease yarn. Lacey Volk’s striking neon hat caught me, and I wanted to try my hand at making one of my own. I managed to make it as far as the first section, having loads of fun in the process. The last real cable project I worked on were those Charcoal Angler’s Loop Socks, so this little repeating cabling pattern was exactly what I needed to feel giddy again about the neat things knit fabric can do. But after finishing that first portion? I got stuck. I was intimidated by the ‘pick up stitches except for 5, evenly distributed’ direction. So I left this project sitting in time-out. I plan to unearth this project this weekend to tackle that silly fear—really, they’re just a hundred or so stitches, what’s the big deal? The math? There’s hardly any! I’m thinking, if picking up 102 stitches is scary, maybe I shouldn’t have taken on the hue shift, right? I will need to get to the massive border of that blanket eventually. So what’s the deal? And just like that, I’m a quarter of the way through my hue shift afghan project. Mitered squares turned out to not be too difficult to work on. I admit that this wip spent a few weeks in time-out here and there because of some absentmindedly picked-up stitches on the wrong side. Or at one point, a completed mitered square using the wrong color combination. After those speed bumps though? Yes. This can be smooth sailing now. Many knitters of this particular Knit Picks pattern kit suggested that I break the yarn as few times as possible to compensate for such tight yarn rations. I’m still unsure if I’m doing well on that front, but we’ll see soon enough. I'm about to turn the second heel of these Stranded Show-Off socks in a Zauberball. It's hard to put it down now that I see how lovely these colors look in this pattern. The Regia Hand-Dye Effect really did the pattern an injustice to me. 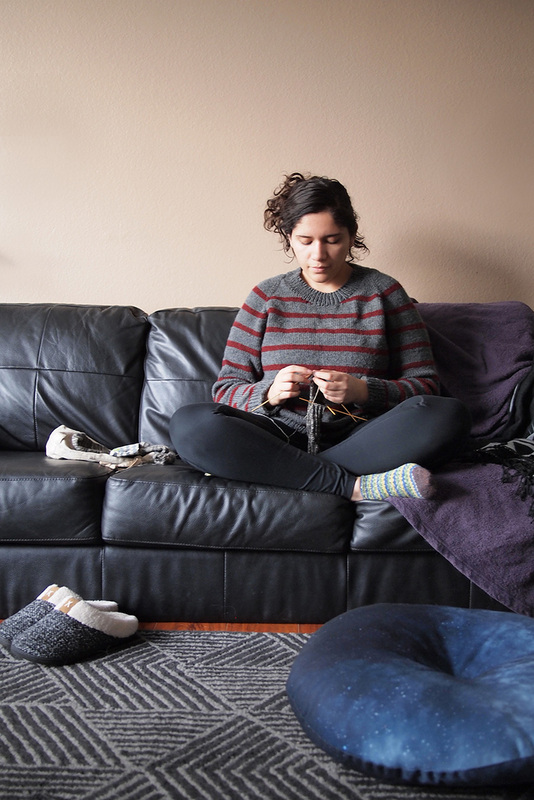 When the yarn's a dream, the whole sock knitting experience is a dream as well. I also finished Hannah Thissen's Slow Knitting. I like what ideas and values that this book fosters. 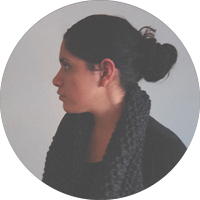 As a long-time lurker of knitting blogs over the years it was exciting to see the profiles of names I recognised (like Bare Naked Wools, Brooklyn Tweed, Jill Draper Makes Stuff, etc). 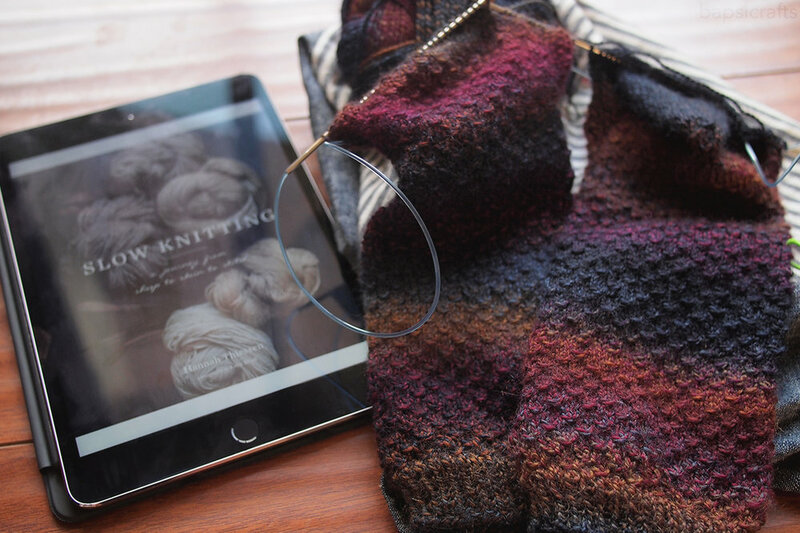 It was a little difficult reading this book in the format that I did (I'm talking about on a Kindle app, on an Ipad), but it's a recommended read if you're interested in source-conscious, sustainable wool and the mindset of slow knitting. The book wasn't enough to completely assuage my knitting-related impatience--I look at my stash feeling anxious excitement about seeing what they'll look like knit up. Sometimes I stay up late knitting something just because I want to make some arbitrary knitting 'checkpoint' so it can be further along. The concepts resonated with me, though. After some digestion (and a few completed projects) I might be a Slower Knitter in due time. What are you reading right now? What are you excited about knitting? Less talking, more knitting, right? A wip post, at long last. On the circular needle was (was! finished it recently and haven't taken it off yet!) an improvised beanie using the Brooklyn Tweed loft yarn Nick bought me at Knit Purl..back when we braved unsalted Portland roads last winter for some yarn tourism. The yarn is lofty and fluffy. The crunchy bits of dry grass between the plies add a touch of..authenticity I guess. I would consider shelling out for a sweater quantity someday, when I think I'm worth it. 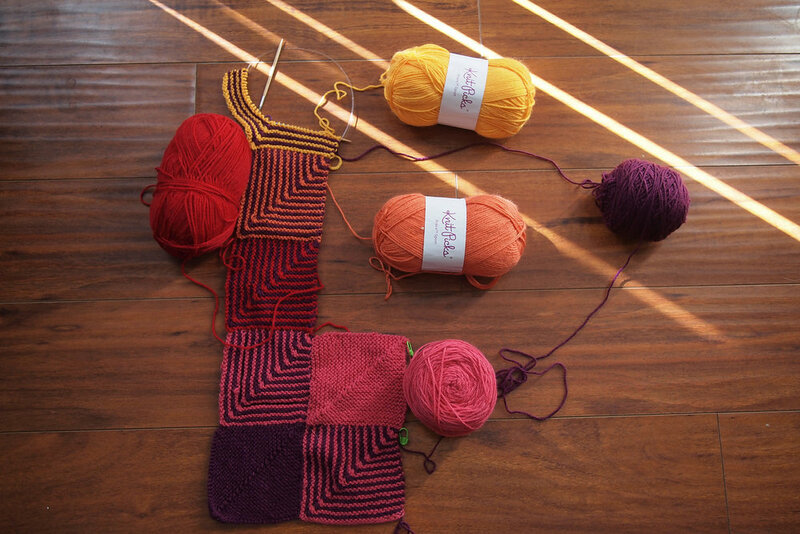 I've had the yarn for this Hue Shift Afghan project for almost a year now. It's nice to finally cast-on and see what the fuss was about. This is my first mitred square project and I'm happy to know that I had little reason to feel as intimidated by the method as I was all this time. My concern currently? Mostly, running out of yarn before I make it all the way through this blanket. 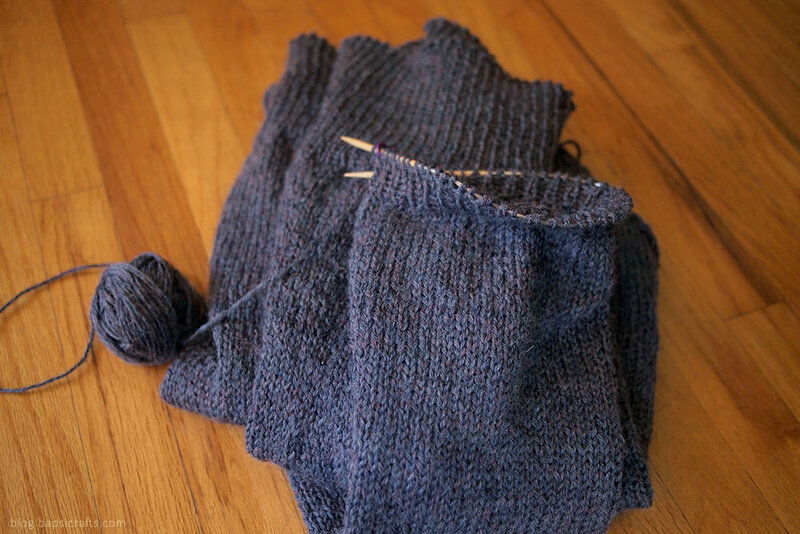 A lot of knitters on Ravelry have complained that knitpicks cut it a little too close to the yardage for comfort. I'm doing what I can by avoiding breaking the yarn as much as possible but we'll see.